Do you live in Canada? Do you have a PayPal card in your wallet or purse? If you answered "yes" to both questions, you should be able to take advantage of a special deal offered by PayPal. Make a Google Play Store purchase of $5 or more, and you can take $3 off of the price. You can use the discount to buy apps, in-app purchases, games, books, movies and more. The deal will run now through January 1st, 2016, and you must be at least 18-years of age to qualify. 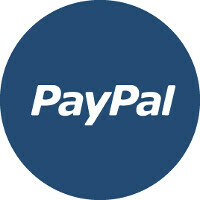 When you check out of the Google Play Store using PayPal, the $3 will be automatically credited after the application of sales tax. If you are looking to buy an app, a movie or a game for an Android user on your holiday shopping list, now would be a great time to use this promotion and save yourself $3. It might not sound like a lot of money, but if you use the $3 you are saving to purchase lottery tickets, well, who knows! You might end up with millions all because of this deal from PayPal. Ayyyyyy Google you're a real one! Yay! Righteous bucks. These stupid articles are only made to attract advertisers.